Editor’s Note: This page has been prepared by a citizen for the benefit of the public and it is subject to further editing. The purpose is to introduce the readership to the general technology being used. 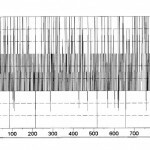 Magnifications of approximately 8000x and the detection of biological components to approximately 0.2-0.3 microns have been achieved with the general methods described on this page. My appreciation is extended to the author of this paper for his extended efforts and for the service that has been provided to the public. 4,000x magnification with an ordinary digital microscope and a webcam’s CCD chip. (plus, in this case, a telescope’s ‘Barlow’ lens). If Mr. Carnicom’s findings of blood and other abnormalities are shown to be replicable by any interested person with a microscope, it would indicate that widespread blood infection and air contamination by unknown agents are most likely a reality. If such blood and air abnormalities are the reality, then having as many independent verifications as possible of the facts involved would be a very good way to convince the general public of that reality. Once that reality is generally accepted, the urgent priority hopefully would then become determining how we can best engage with that reality as quickly, effectively, and as healthfully as possible. Thus it is now essential to have as many independent verifications of the findings as soon as possible and to have the evidence of those verifications posted on the Web and shared widely with these ends in mind. Mr. Carnicom, there now exist at least two relatively simple and inexpensive do-it-yourself methods by which interested members of the public can modify their own microscopes and directly image their own samples to 4,000x and even higher. 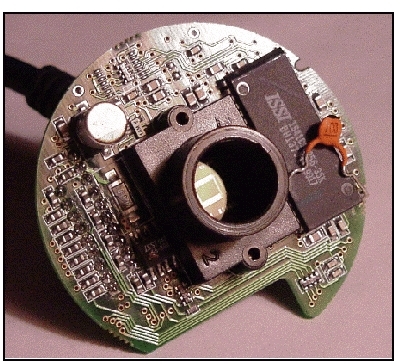 Both methods adapt a simple web camera’s ‘charge-coupled device’ (CCD) chip to microphotography—replacing the eyepiece of the microscope with the webcam’s CCD sensor is the key. You will be replacing the webcam lens with your microscope lens. Besides using a CCD chip, the more involved method—which gives the highest magnification power—also involves adapting a telescope’s ‘Barlow’ lens to the microscope, and is not covered by this how-to document. The simpler method—which, although it gives less magnification power, still magnifies samples much more than do unadapted microscopes—uses only the CCD chip and will be the focus of this paper. Below are the step-by-step instructions needed for this simpler method, which provides a maximum magnification of approximately 4,000x and can be built in one afternoon for as little as $35. WARNING: For your own safety, any attempts to replicate the micrography techniques mentioned on this website must include observing samples by way of one’s computer’s monitor only and NOT directly through one’s microscope. This is absolutely mandatory when working with any LASER light, which can cause serious eye injury and blindness. Serious precautions must always be taken when working with any operating LASER. * Mr. Carnicom states that the best microscope he has is called the “Ultimate Home Microscope” (also known as the “Ultimate Digital Microscope”) from Home Science Tools (www.hometrainingtools.com). a) Remember to not leave the webcam interior open to the air for too long (as dust could get on the CCD chip), so have your film-canister eyepiece adapter ready. Before opening up the webcam and in preparation for mounting, take the plastic (Kodak) film canister, remove its cap, and cut out the bottom with either a fine-tooth coping saw or a hacksaw. Be sure to remove all debris and dust from it and the immediate work area. Extreme cleanliness is vital, as even a tiny dust/debris particle on the CCD chip will interfere with your microscope imaging later. c1) Insert the end of a small jeweler’s screwdriver or a paper-clip wire into the hole and gently press it in until you feel a snap. You have just unlocked one of the three retaining clips that hold the ball together. c2) Alternatively, if there is a screw visible, insert the appropriate small screwdriver into the hole and unscrew it. d) Carefully pry the ball apart with a small regular-head screwdriver, taking EXTREME care not to damage or dirty the QuickCam’s internal components. In addition, it is extremely important to keep the CCD chip clean! Even a tiny fleck of dust on the CCD chip can interfere with later imaging. a) Inside the QuickCam, you will find several pieces, including the lens, lens mounting, a metal spacer adjacent to the lens, and a metal counterweight that doubles as a tri-pod. Remove the lens by simply unscrewing it. b) If there is an LED visible in the webcam, tape a small piece of black tape over it to prevent excess light interference when the webcam is turned on. 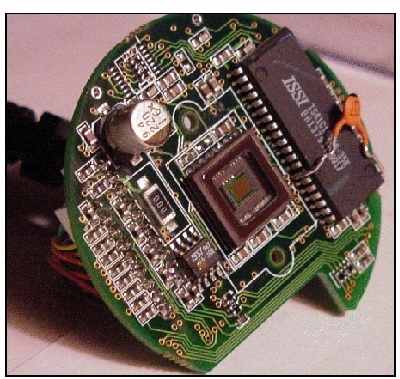 c) Identify the CCD chip and the lens mounting as two separate objects within the webcam. REMOVE THE LENS FROM THE LENS MOUNTING BUT LEAVE THE ACTUAL LENS MOUNTING IN PLACE. THE REMOVAL OF THE WEBCAM LENS IS A CRITICAL STEP. THE CCD WILL BE EXPOSED TO THE AIR WHEN THE MODIFICATION IS COMPLETE AND YOU MUST KEEP THE CCD CHIP AS CLEAN AS POSSIBLE FROM THIS POINT FORWARD. ANY DUST OR DIRT OF ANY KIND ON THE CCD CHIP WILL INTERFERE SIGNIFICANTLY WITH THE RESULTS THAT WILL BE ATTAINED. QuickCam circuit board with lens mount still attached. mount removed and CCD chip exposed. d) Reassemble the webcam’s body, now minus the lens (and possibly the lens mounting). e) With the silicone adhesive, CAREFULLY glue the top of the film canister (now with its bottom cut off) directly over the top of the hole in the webcam where the lens once was. 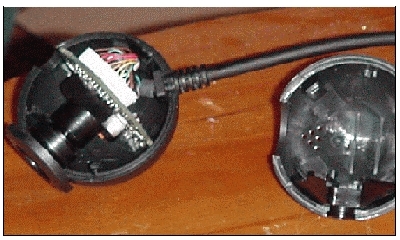 The CCD light-sensing chip remains in the webcam’s circuit board in its original state and form. 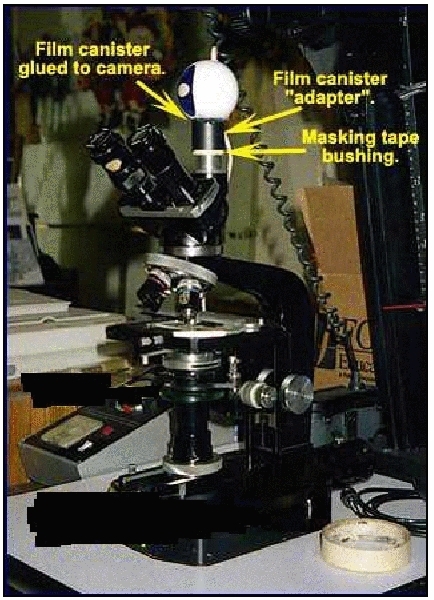 Regardless of which method is used, after gluing on the film canister, wrap one-inch masking tape around the microscope’s trinocular port or around the second eyepiece tube on a binocular viewing head so that the proper diameter makes a snug fit of the film canister over the tape. Here is how one possible end result will look. and the film canister glued onto it. 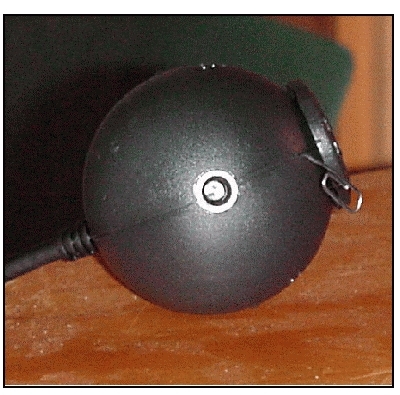 a) Depending on your computer model, either attach the QuickCam to the keyboard/mouse-jack of your computer or plug it directly into your computer’s USB port. b) Remove the eyepiece from your microscope. c) Insert the film canister tube—with part of the QuickCam now attached—into the microscope’s eyepiece holder. (http://www.logitech.com/index.cfm/support_downloads/downloads/&cl=us,en) and download the latest drivers and software. b) Focus the microscope onto a test target and look for its image to appear on your computer monitor. The webcam will produce real-time images, meaning that you can adjust the ‘aim’ of your microscope and see the results on your screen at the same time. Adjust the focus control until the image is at its sharpest. c) If the image is not evenly sharp across the field, that means the CCD in the QuickCam housing is tilted a little. Open up the camera again and shift one side of the CCD chip to even things out. Then put it back onto the eyepiece holder and try the test target again. d) To take a photograph with the imager, simply click the QuickCam’s program screen with your computer’s mouse cursor. When photos are taken, save them so you can adjust their quality with QuickCam’s software or another imaging software program, such as Adobe Photoshop. 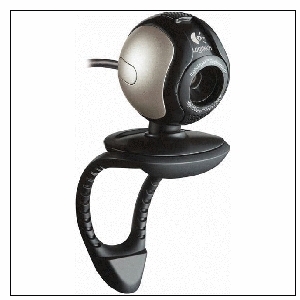 You can also use the webcam’s digital zoom feature to increase image magnification, if necessary. 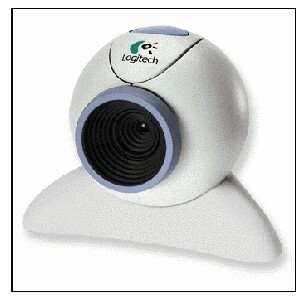 The webcam’s software allows you to increase the image magnification by 2x in 10 increments. There will be a loss of resolution, since the webcam’s software records fewer pixels and uses interpolation algorithms. Before going straight to blood samples, you’ll probably want to start with somewhat simpler things. Cheek cells swabbed from one’s mouth with a toothpick. Onion skin. Perfect practice material; an onion skin is one cell in width and has large, easy-to-see cells. It also allows light through, is thin, and is easy acquire. Epsom salts can be dissolved in water and then dried, resulting in interesting crystals to examine. Relevant samples can include blood, the material resulting from swishing various liquids in the mouth, and airborne samples, among others. According to Mr. Carnicom, not every blood cell seems to be infected, at least in healthy people. But usually every microscope slide blood sample will contain some cells with signs of it. If you aren’t already familiar with using a microscope and basic microscope techniques, Clifford recommends The Microscope Book by Shar Levine. 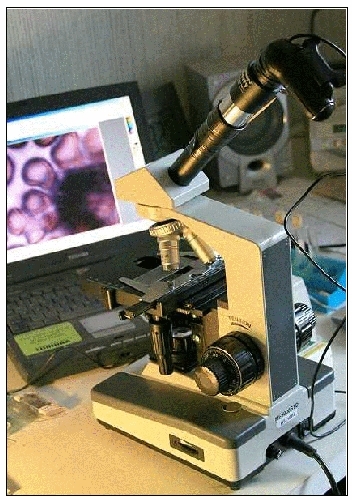 Refer to a good introduction to microscope technique, such as the previously mentioned The Microscope Book by Levine. Samples should be adjustable on the microscope’s stage. It’s important to remember that light has to get through the sample in order to be able to really see it. The more transparent a sample is, the more can be seen. The higher the magnification power, the more light is required. You’ll need very fine focusing ability at these magnification levels, one reason why acquiring the best microscope you can is important. Spend some time in observing and become familiar with what you’re looking at. Proficiency comes over time, so having patience is also important. Again, the more involved method—adapting a telescope’s ‘Barlow’ lens to the microscope, in addition to using a CCD chip—gives the highest magnification power. Perhaps others will undertake another instruction set for that project. a) Once you have imaged and photographed blood, air, and/or mouth samples, you can forward the images with relevant commentary to Mr. Carnicom at info@carnicominstitute.org. 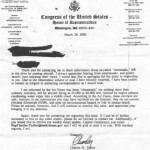 b) Independent verifiers are also encouraged to create websites of their own with which to present their results, along with a link to this page for instructions on how to replicate the procedures used that obtained those results. a) Although this subject of mass infection is (understandably) a difficult subject for many, “naming the demon”—concretely identifying a previously vague or nebulous threat—can be very useful in engaging difficult-to-handle issues. This is because it defines the threat, thus limiting its scope. In the case of Mr. Carnicom’s findings, “naming the demon” would mean perceiving and describing the actual physical parameters of the strange infection-causing agents and their activities. This knowledge will allow people to better understand the situation as it actually exists so that they can then engage with it effectively and ultimately overcome it. b) This situation also might have a true ‘silver lining’ if it prods us to find effective means by which we can work well together for the good of all of us, in spite of different outlooks we might have on other matters. If Mr. Carnicom’s findings are fact, working well together may be our only way through.